New England Wildlife presents the natural histories and distributions of 338 inland wildlife species in New England. It also details the habitat relationships of all New England terrestrial and aquatic species, presented in sections on amphibians and reptiles, birds, and mammals. Each species account includes an illustration and range map, along with information on distribution in the region, status, habitat, special habitat requirements, details of breeding biology, home range and movements, and food habits, each fully documented from the pertinent literature. The introduction includes a brief land-use history of the region, descriptions of forest types and nonforest habitats, and wildlife responses to landscape change. 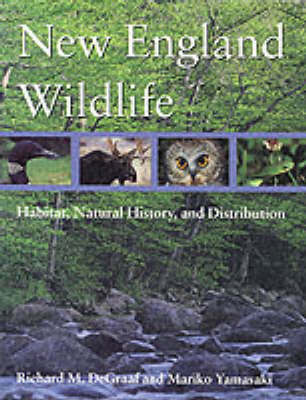 A necessity for all land managers and naturalists as well as birders, walkers, nature lovers, residents, and visitors to New England, the book includes the most recent information on natural history and distribution, and matrices relating all species to standard classifications of forest cover - types and nonforest habitats.